Two Durham families have made it possible for the Royal River Conservation Trust of Yarmouth to create a 103-acre preserve along the Runaround Pond shoreline, as well as an adjoining stream, open marshes, beaver lodges and wooded areas. 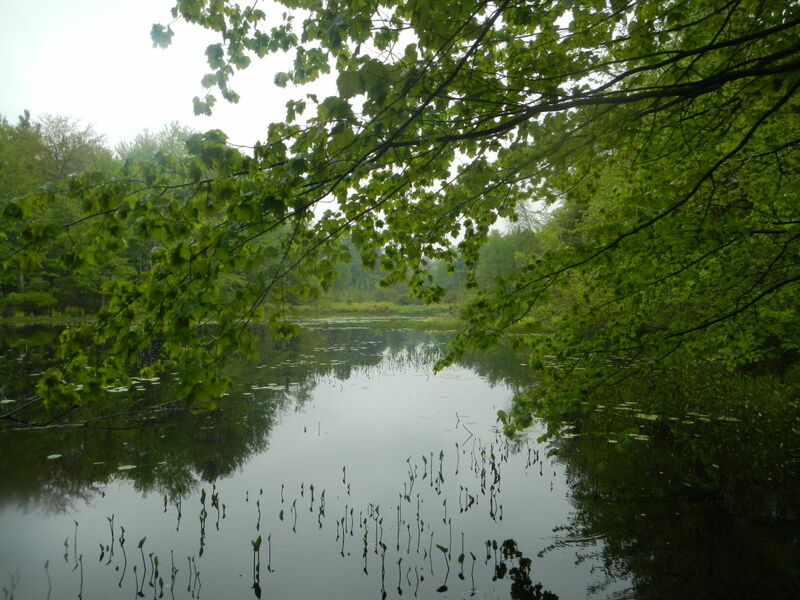 Duncan Chesley sold 79 acres of his land, while David and Christine Colson donated the remainder of what the trust has named the Chesley Meadows Preserve at Runaround Pond. The pond and its watershed are the headwaters of the middle branch of the Royal River, also known as Chandler Brook. The Royal River Conservation Trust prioritized the property for its deer yards and waterfowl habitat. The new preserve also surrounds Durham’s 133-acre Runaround Pond Recreation Area, which is used for boating, fishing, hunting, fishing and snowmobiling, and keeps some of the old Chesley property as farmland. Chesley and the Colsons worked with the trust for nearly three years. Chesley said he began talks with the organization around the time that it conserved an easement on the old Crow Ranch, which was a working farm, down the road in 2008. Chesley’s mother, former First Selectwoman Barbara Chesley, was a driving force behind the creation of the recreation area, so he is continuing a family tradition when it comes to preservation of habitat. Chesley said that he grew up and still lives in the house that his great-grandparents built. “When I was a kid it was all farmland, and the people at Royal River Conservation Trust are trying to keep it farmland,” he said. David Colson said that the community is fortunate to have the Runaround Pond Recreation Area, and now the preserve. The Chesley Meadows Preserve has no developed or marked trails. Parking is available for two cars at a small turnout at the intersection of Davis Road and Chesley Hill Road, The preserve does not yet have any signs. Stearns said that preservation efforts at Runaround Pond go back several decades, largely through the efforts of John Ackerman, who died last year. Stearns said that the trust chose the Chesley name for the new preserve because the most notable feature is the open marsh that the family preserved as a woodlot. “It was an honor to name it for the family,” Stearns said. The frontage to Runaround Pond donated by David and Christine Colson to the Royal River Conservation Trust.